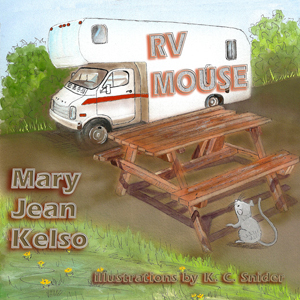 A new Andy and Spirit adventure for kids to enjoy comes to you from Mary Jean Kelso. In Search and Rescue, Andy and Spirit assist in searching through the woods around Joe’s home for a dumped dog Tully is caring for. What a fun adventure. Tracy’s father-in-law, Tully, is looking for a younger dog to help him around the farm. When his cowboy friend, Joe, calls to tell him about a dumped dog, Tully agrees to stop by. The men find a mother and her mixed-breed pups. Tully takes all of them to his farm, but the mother keeps running off and they don’t know why. They enlist the help of Andy and Spirit to find the mother dog after an escape. What I’ve enjoyed about this series is that Andy and Spirit are always in the midst of the action. Whether at the fair or the rodeo or rescuing bullies or run away dogs, they are in the thick of things. In Search and Rescue, they actually come into the story a bit later, but it is Andy’s keen hearing and Spirit’s animal sense that saves the day. This is another wonderful addition to Kelso’s Andy and Spirit series. I would be remiss if I didn’t talk about the beautiful artwork by K.C. Snider. After this many years, Snider’s work is easily recognizable to me. I love everything of hers that I’ve seen. In this book, it’s the warm colors, the stunning beauty of nature, and the expressive faces on the characters that catch my eye. At the end of the book, readers find information on rescue groups and suggestions for interacting with cats and dogs: education and entertainment in one lovely book. Lynne Garrett’s life changed forever as a result of a horrific car accident that required one of her legs to be amputated. Not wanting to join her family for a trip to Disneyland, Lynne decides to visit her Aunt Pat in the historical area of Virginia City, Nevada. Pursued by strange men she saw on the plane, Lynne must uncover a mystery that threatens her life. Mystery and history blend together in this suspenseful young adult novel from award-winning author Mary Jean Kelso. Relying on her vast knowledge of the area, Kelso creates an adventure story filled with historical tidbits and locales. The author was wise to make Lynne new to the area, so other characters had a reason to share those tidbits. I enjoyed learning more about the area, too. It was also good to see Lynne having more than the mystery to focus on. She is adjusting to life after her accident while also trying to stay one step ahead of the men who seem determined to harm her. Twists and turns lead to a surprising ending that satisfies. Goodbye Is Forever is a quick summer read. I received an electronic copy from the author. This review contains my honest opinions, which I have not been compensated for in any way. Melissa is a young girl who moves with her family to Oregon via The Oregon Trail. She has been allowed to bring one prized possession and she struggles to see that the porcelain angel that has topped the family Christmas tree makes the journey safely. Melissa inspected the angel carefully before handing her over to William. She straightened the small gown of white velvet. She carefully arranged the sleeves over its arms that stretched out as if to grasp the season with joy. She felt the downy fluff of its wings. Finally, she adjusted the tiny golden halo and handed the angel to William. She watched as he stretched to reach the top of the tree. William turned and looked mischievously at her. He acted as if he were about to drop the angel. “William, do be careful!” Melissa shrieked. After a family’s star for their Christmas tree is destroyed they search for another ornament to top the tree. They resurrect the treetop angel carried across The Oregon Trail by a young pioneer and bring the story of The Christmas Angel full circle. Derrick turned the bright red glass in his hand and looked at the elf ’s big ears and mouth. The elf ’s painted lips smiled at him. During the previous holiday season, Derrick had been two years old. This year he couldn’t remember what a real Christmas tree looked like. But he remembered that Mom had set him on some strange man’s lap. He hadn’t liked that at all. He had screamed and stiffened his body until he slid off the stranger’s red clad legs. Somebody flashed a picture and shoved a candy cane in his hand. He heard laughter when his mother whisked him away. 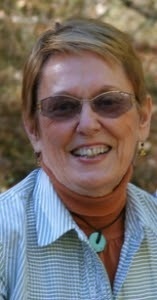 Mary Jean Kelso is a multi-genre’ author. Besides Cowboy James, RV Mouse, The Christmas Angel, and its sequel, One Family’s Christmas, and the Andy & the Albino Horse series, she is the author of the young adult Lynne Garrett series: Goodbye Is Forever, Abducted!, and Sierra Summer. Also Kat’s Cradle, Blue Coat, and The Homesteader series. KC Snider, a prominent award-winning Oregon artist, has branched out into a variety of styles and subjects. Her collection of oil paintings, lithographs, and pencil drawings include the All-American Cowboy and Cowgirl and their historical lifestyles with magnificent wolves, buffalo herds, eagles and birds of prey along with horses and domestic animals. Her artwork has won numerous awards including the Snaffle Bit Award and the Pioneer Award. 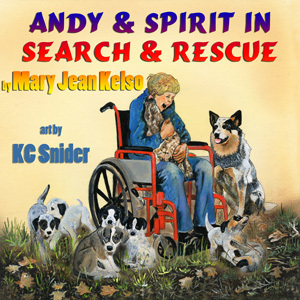 Another great installment to the Andy and Spirit series by Mary Jean Kelso! Andy and Spirit visit the Nevada State Fair where they get in a ride and then watch the day’s events. Andy gets to meet the rodeo queen and learns how to handle a lasso. Despite an unfortunate accident, the rodeo is a fun time for all. 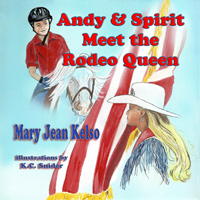 Andy and Spirit Meet the Rodeo Queen is the latest book in Kelso’ popular Andy and Spirit series. What is great about this book is that the main character is a wheelchair bound kid who doesn’t let his handicap stop him. In addition, even the people he meets don’t focus on his wheelchair. They see Andy for Andy. Kelso creates an excellent picture in this book for what it is like to attend a rodeo. Despite the fact that I’ve never been to one, I feel like I have after reading Andy and Spirit Meet the Rodeo Queen. The artwork for all the Andy and Spirit books has been drawn by K.C. Snider. I like the pairing of Kelso and Snider, and hope it continues. When an artist and writer work together on multiple projects it certainly makes a difference in the overall quality of the book and how enjoyable the reading experience is. At the end of this book, the reader finds information on rodeos and rodeo events. There is also a short list of some popular rodeo websites. What adventures will Andy and Spirit find next? I guess, I’ll just have to eagerly wait and see. 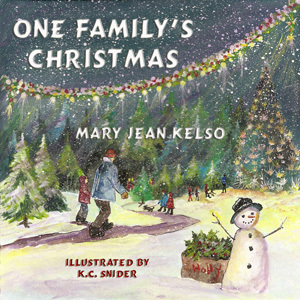 Experience the joy of a prized possession rediscovered in One Family’s Christmas by Mary Jean Kelso. 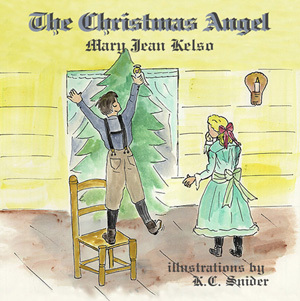 The sequel to Kelso’s The Christmas Angel, this story finds ten-year-old Jessamyn and her three-year-old brother Derrick journeying up to the attic with their father to find ornaments for the Christmas tree. Derrick isn’t too fond of the attic, or Santa Claus for that matter, but after the family rediscovers the Christmas angel that had once traveled The Oregon Trail, Derrick decides Christmas and that guy in the red suit aren’t too scary; and he and Jessamyn vow to protect the Christmas angel from harm, just like their great-great-grandmother once did on The Oregon Trail. There is so much to love about One Family’s Christmas. I didn’t know until today that this was a sequel to The Christmas Angel, and now I want to read the first book to find out how the angel traveled from Philadelphia to Oregon by wagon. This is a wonderful, moving story about family, ancestry, and cherishing the past. Many young children can relate to Derrick’s fears about the dark, noisy attic and how imposing it can be to greet a large man in a bright red suit with most of his face covered by white hair, who has a hearty laugh. The illustrations provided by award-winning artist K.C. Snider are outstanding. She also worked with Kelso on The Christmas Angel, and this pairing should continue, as they bring forth charming stories for young readers through their words and pictures. My favorite illustration has to be the one of the family driving in their red car through the neighborhood with a Christmas tree tied to the roof. The trees are bare and the snow is falling, and I just want to walk right into that picture and be a part of it. Also included is information on genealogy, including helpful links, a pedigree chart and a family history sheet. All these turn this book into an oppportunity to teach your child about their family and its ancestors. A heartwarming tale that could lead to projects to keep the kids busy over the long winter breaks, One Family’s Christmas is the perfect holiday story. SRP: $11.95 for PRINT, other prices available on the Guardian Angel website.